When it comes to events management in London, we have you covered. Of course, one of the most important things, besides using a free venue finding agency to secure a venue, is to hire event security. 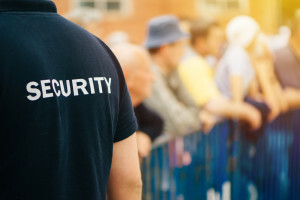 Event companies in the UK tend to offer package services, including event security, but if want to do it right, consider the following five tips for your event security. Your staff should be thoroughly prepared for security and safety. Security measures should also be in place in the case of an emergency. Your staff can also serve as an extension for your overall security team. This ensures that surveillance is taken care of from all angles. Develop some sort of system that allows you to access the threat level for your event. Then you will want to create a security plan based on that information. If you have a smaller even scheduled, for example, and are holding your event in a secure venue then your event will be low risk. The opposite being true for larger events. Plan accordingly. Don’t leave gaps in your security by sticking to one strategy. Increase safety by using everything from metal detectors to surveillance systems. Event organizers are responsible for keeping up with data for your event. The first step is to keep event registration simple and secure. Only ask for the absolutely necessary information from your audience. Taking in more information than necessary can leave you liable for data breaches. Security often comes down to your venue. When you use our free venue finding agency, we pair you with venues that are secure. We provide a list of the features offered by the venue to ensure you know precisely what to expect from event safety. When it comes to events management in London, we want to help. Secure the perfect venue by using our free venue finding agency for your next event.